Multi-level warehouses, factories, and industrial storage facilities can often benefit from the use of vertical reciprocating conveyors (VRCs) for safe and efficient movement of product. While designing the overall facility plan or retro-fitting an existing design, the team of experts from Morrison Company will determine if this application is right for you. Using the extensive Wildeck® line of solutions, we will customize a plan for the fast, convenient and most economical movement of material to and from mezzanines, catwalks, basements, and even between levels. 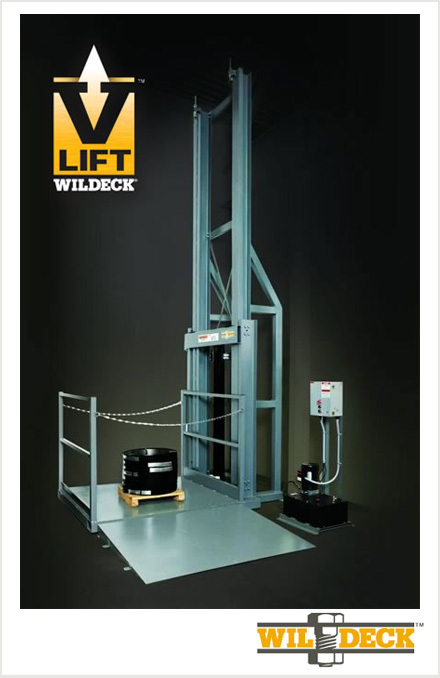 VRCs are easier and safer to use than a forklift truck or manpower and less costly to maintain than elevators. Designed for years of active use, these systems are durable and minimally intrusive within the warehouse footprint. Morrison Company is recognized as one of Wildeck's top producing material handling distributors in the U.S.